This as an active trough of low pressure with associated cloud and rain is moving towards the Fiji group from the north. 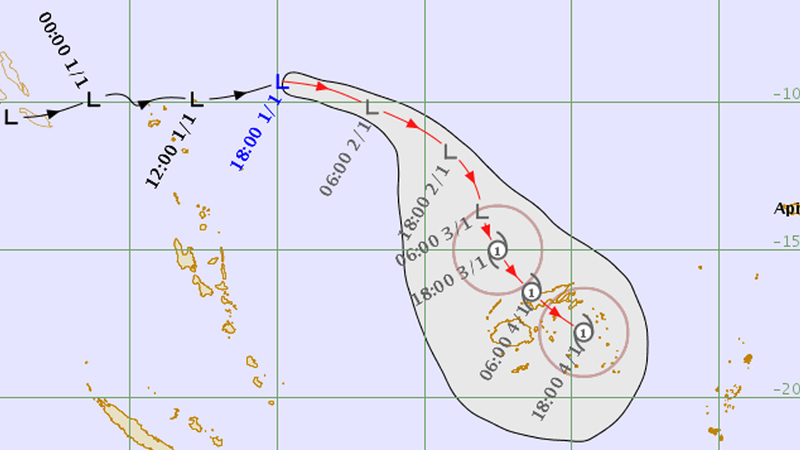 Tropical Disturbance 04F that was analysed to the Southern of Solomon Islands yesterday has upgraded to a Depression. The Fiji Meteorological Services reveals that the potential for TD04F to develop into a tropical cyclone in the next 24 to 48 hours is moderate. For Vanua levu, Taveuni and nearby smaller islands, eastern half of Viti Levu, lau and Lomaiviti group: occasional rain, heavy at times and few thunderstorms. Rain becoming frequent from later today.